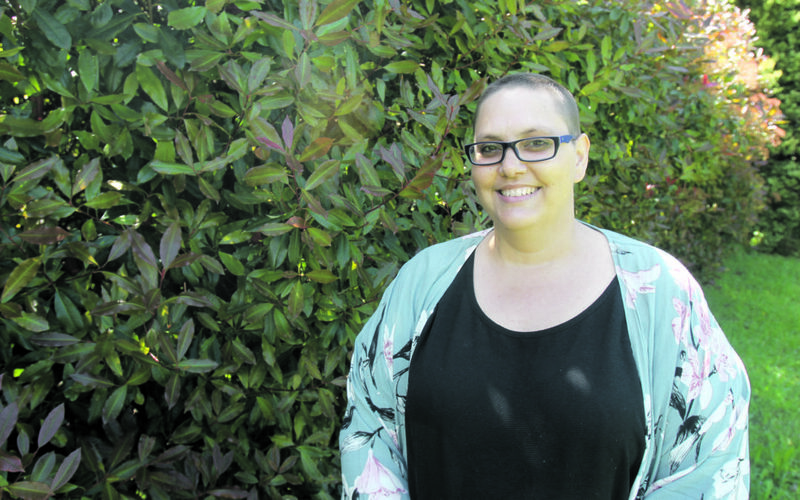 Featherston mum Jen Bhati has been through the ringer with her cancer battle. But after two years of fighting, her doctor has finally dropped the ‘r’ word – remission. Jen, 40, was diagnosed with non-Hodgkin’s lymphoma in September 2016 – it was the latest in a string of cancer diagnoses in her family. In December 2015, her niece who was 18 months old was diagnosed with neuroblastoma – there was a tumour wrapped around her kidney. And while her mother’s cancer was being treated, that’s when Jen was diagnosed with the same cancer, Stage 3 non-Hodgkin’s lymphoma. Jen went through chemotherapy and finished her treatment in April 2017. But by the time December came by, Jen felt that something was wrong again. Her cancer relapse was confirmed mid-February this year, and treatment began again in mid-March. “The oncologist pretty much said, ‘we’re going to be spending a lot of money on you’,” Jen said. This included further chemotherapy, and stem cell transplant therapy. During these chemotherapy sessions, Jen’s stem cells were harvested for a later transplant. Once the harvest day came around, Jen had to lay in hospital for five hours while a “big dialysis-like machine” her took blood. About six weeks after her last chemotherapy session she was readmitted to hospital to start the chemotherapy again – six days’ worth – in preparation for the stem cell transplant. “The transplant day came, and I was pretty psyched for it. “They had my bag of stem cells, they brought it from the blood centre where it had been in a freezer, and the moment they put it in a water bath to defrost, they had 10 minutes to get it into me. “It was very quick, and I was thinking, wow was that it? A few days passed and then “it went hell in a handbasket”. Jen’s immune system was very low, and she had become violently ill.
“I ended up on a feeding tube for six days. Thankfully, the sickness passed, and although Jen said she still feels exhausted and suffers body aches on occasion, she is happy to say she is in remission. The day she got the remission news, which came just over a month ago, she said her “Facebook memory” from the same day two years prior showed a post she had written to her friends announcing she had cancer. And in those two years, she has learned a lot: about cancer, about herself, and about the people around her who have supported her through such a tough time. 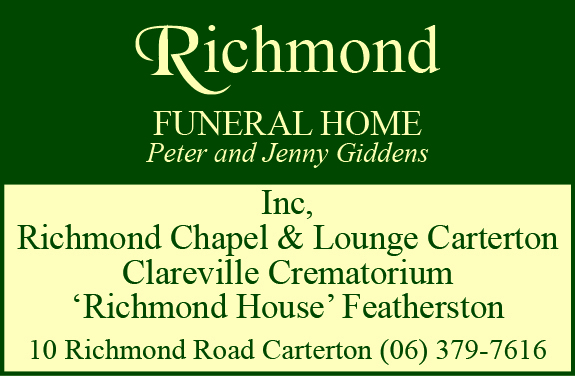 Special mentions were given to Featherston’s Own Charitable Trust, Featherston School whanau, Leukamia and Blood Cancer NZ, and the Wairarapa Cancer Society. But one organisation that has helped Jen through the toughest times is the Whole Lotta Life Foundation. WLL offers a community and support for young adults aged 20-45 diagnosed with cancer in New Zealand. They recognise that young adults dealing with cancer face a multitude of social, psychological, and medical hurdles. Founder and director Kris Paterson said young adults fighting cancer often confronted the loss of a sense of independence, as well as concerns over changes in physical appearance, fertility, and relationships. Additionally, they face obstacles around education, insurance, and employment, Kris said. “While most other young adults are leading healthy, active, and busy lives, a cancer diagnosis often makes it difficult to keep up socially, academically, and professionally, as well as relate to others. Jen found solace in the company and network of WLL and went on a retreat through the foundation with 11 other cancer battlers, two of whom are terminally ill.
“One of them is having to work two jobs to fight to get this $6000 a month medication to give herself an extra year with her family,” Jen said. “I just think, how lucky am I that things have gone the way they have gone. Jen’s recovery will be reviewed next month. Three months from then she will receive another CT scan to ensure she is “on track”. 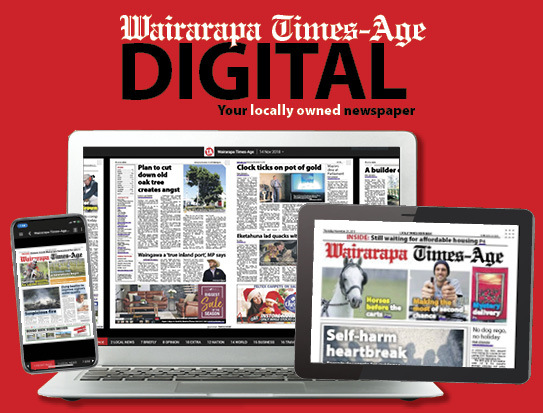 To contact the Wairarapa Cancer Society, call (06) 378 8039 or email waisupport@cancersoc.org.nz.